Some great coachbuilt cars have popped up on ebay this week. They are the A cars not the B ones, as in Rolls Royce not Bentleys, but hey they are great! 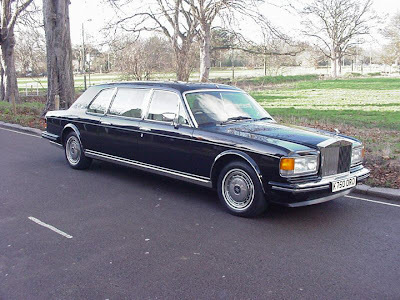 The first on the British ebay site on a magnificent 1993 Rolls Royce Silver Spirit Park Ward Limousine. This is such a Proper Motor Car. Simply divine. I love the raised roof, and the discrete elongation. Very Royal. 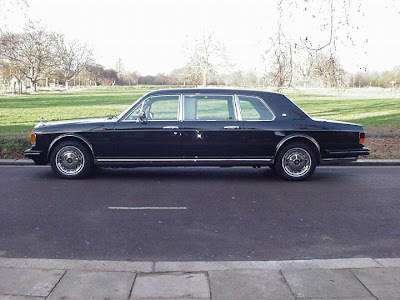 The Park Ward Limousine is for sale by ebay user Fulham Bob, who was also selling the Flying Spurs last week. 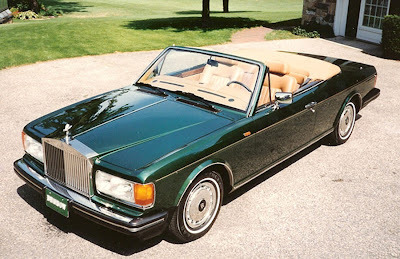 Now from the other side of the pond and again an 'A' car a coach built Silver Spirit 2 door convertible. I am not sure, but is this the super rare Azur model by Jankel as written about before? Probably not, but at least a guess. 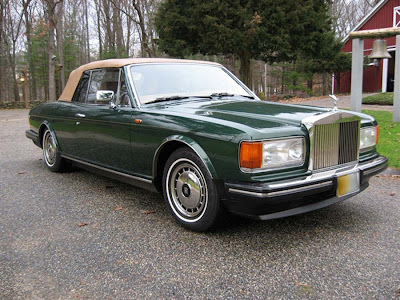 The car is described as a 1990 Rolls Royce SILVER SPIRIT II 2-Door Custom Convertible Item number: 200102271032. Chassis number SCAZS02DXLCX31319. I would take it. Bentley Long Island Dealer direct link. 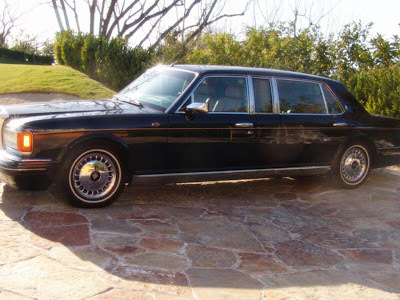 The final ebay find this week is another Park Ward 'factory' limousine. Not as impressive as the one in London, but at least it is not the length of two double-decker buses. Lots of Rolls Royces' and no Bentleys, oh well. I'm not in a sporting mood.